I've always had a love for dexterity games. The beauty of dexterity games is that they work in almost any setting, whether at a party with a large group, or in the intimate setting of a home with just two players. They're typically easy to learn, entertaining to watch and play, give opportunity for developing a real degree of skill, can be played quickly, and have an appeal that encompasses both gamers and non-gamers alike. That's a pretty impressive resume! In terms of reach and value, it's hard to improve on the mileage you can get from a good quality dexterity game. 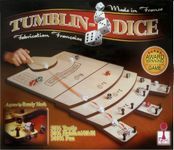 Some of my favourite dexterity games include the tried and proven greats like Crokinole, PitchCar, and Tumblin-Dice. In addition to these I've also enjoyed lesser known dexterity games like Elk Fest, Flicochet, and Sjoelen. 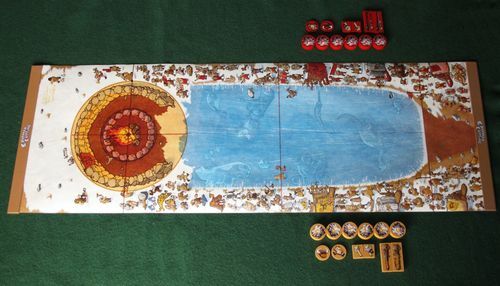 While games like these are often made of wood and tend to cost considerably more than your average board game, they are still excellent value, and arguable even better value than your average board game. My Crokinole board is easily the most expensive game I've ever purchased. But considering the many, many hours it's been played, it's also easily the cheapest game when measured by the low cost per minute played. So over the long term, despite their higher price tags, dexterity games are fantastic value. With that being said, I'd like to introduce two new runners in the dexterity field, both of which we've been enjoying immensely over the last couple of weeks. First up is Click Clack Lumberjack, a new release that's been very popular in Korea, and now is making its way to the wider market with the help of MayDay Games. Players use an actual axe to try to knock bark off a plastic tree - terrific fun, and ideal for parties as well as for a whole range of settings! Second is Caveman Curling, an excellent dexterity game that uses Crokinole style flicking but with a curling theme. Unlike Crokinole, judging your distance is more important, and the board has just the right traction to enable considerable accuracy. It has wonderful components and gameplay, and has the big advantage of being portable. Let's tell you some more about both of these great new dexterity games. What other games can you think of come with a usable axe as the most important game component? In other words, where the central game mechanic is about physically swinging an axe and taking down tree parts? It sounds so ridiculous that you'd think I'm making this up, but there it is, sitting in front me, real as can be: Click Clack Lumberjack. Don't laugh too quickly - it really does reward skill, and has the potential to generate raucous laughter in the right setting! The game consists of a plastic pieces piled on top of each other to make a tree. 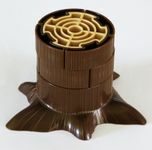 Each core has four "bark" pieces attached to it, and on their turn each player gets to swing the hit the tree twice with the axe. Bark that's removed will score 1 point each, while if you knock off the central core pieces you lose 5 points. Dexterity games nearly always work well in any context, and there's few that can match the fun and hilarity of this one. The concept of wielding an axe to knock bark off a tree may sound ridiculous, but it's the kind of thing that needs to be seen and played to be appreciated. 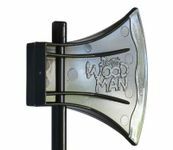 A game can be done and over with in under 10 minutes, which makes Toc Toc Woodman ideal for almost any occasion. The theme also makes sense in that you are actually chopping down parts of a tree, so it's easy to explain. If people are watching they'll quickly catch on to what's happening and want to join in, although even being a spectator can be incredibly entertaining. This is the kind of game that has the immediate novelty and wow factor that will draw people in, and its accessible and addictive qualities make it perfect for almost any setting. Want to know more? See my full review: Ender's Comprehensive Pictorial Overview: Dexterity done right - what other game lets you swing a usable axe? Caveman Curling is a caveman-themed spin on curling, the sport where they throw rocks on ice, and run ahead sweeping like crazy with brooms. It's a dexterity game that employs Crokinole style flicking of disks, but with a curling type rink for all the action to happen, and adds in some great artwork and a few twists. Players take turns flicking their disks along the icy lake trying to get the closest to the "fire" at the end of the board. The playing board is made out of a special material that contains just the right amount of traction to enable remarkably accurate shots, and where you need to judge the distance carefully. After each shot, you can use a "special item" on the rock you've just flicked. A hammer can adjust its distance (in the absence of brooms), and a totem can protect it so that you can re-throw it later in the round if the totem happens to come off. Point scoring at the game end is just like in curling or bocce - you score one point for each of your disks closest to the center than the nearest of your opponent. This game was previously released under the name Kairn, and limited copies of a new edition called Caveman Curling appeared at Essen 2011. It is now getting a wider release with the help of a Kickstarter campaign (check this link to see the Kickstarter project, which is now going into its closing stages). I was fortunate enough to play an advance production sample of the game, and was very impressed. 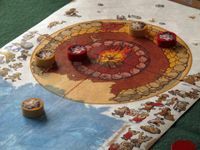 It compares very favourably with Crokinole, and although it's still sheer skill, it has a slightly lighter feel in view of the theme, components, and the ability to use special items. Judging the distance is much more important here than it is in Crokinole, so the end result is that both games require a different approach, with Caveman Curling more likely to work in a family setting. 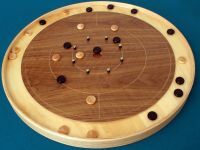 Portability is also a huge plus, because while you can't lug your Crokinole board around easily, that's easily accomplished with the small box that contains Caveman Curling. A very fun game, highly recommended, and different enough from Crokinole to make it a unique challenge of its own. Want to know more? See my full review: Ender's Comprehensive Pictorial Overview: Do you like Crokinole? You'll love this! Join the discussion: What do you enjoy most about dexterity games? What are some of your favourites, and why? Which of the above two games looks appealing to you?